Acaulescent geophyte, tuber turnip-shaped or elongated. Lamina simple, trifoliolate, pinnate to irregularly bipinnatisect, simple leaves ovate with apices acute and margins entire to serrate, 30-50 x 15-20 mm; compound leaves elliptic in outline, 50-70 mm long, pinnae 15-30 mm long, deeply incised, segments laciniate, 1-3 mm wide, adaxially glabrous, abaxially hirsute with long apprressed stiff hairs interspersed with very short glandular hairs. Stipules subulate, 16-30 mm, adnate to petioles for half their length. Scape, bearing 2-3 pseudo-umbellets, each 4-13-flowered. Pedicel cca. 0.5 mm. 5, narrowly triangular, apices attenuate, 9-20 x 1.5-4.0 mm, recurved, green to reddish brown with white margins. Hypanthium (29-)35-75 mm. 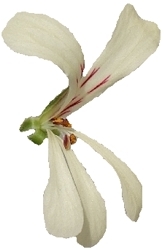 5, white, pale pink, yellow, cream- or flesh-coloured, patent during anthesis, posterior two with wine-red feather-like markings, obovate to widely obovate or obcordate, bases cuneate, apices rounded, truncate or emarginate, 17-34 x 8.0-15.5 mm; anterior three widely spathulate, bases narrowly cuneate, apices rounded, truncate or emarginate, 15-25 x 4.0-7.5 mm. 5 fertile, posterior cca. 6-11 mm, lateral two 8.0-14.5 mm, anterior two 11-17 mm. The gently sloping landscape 3 km E of Haarlem, Western Cape Province, with low shrubs and rich with P. carneum and P. dipetalum. 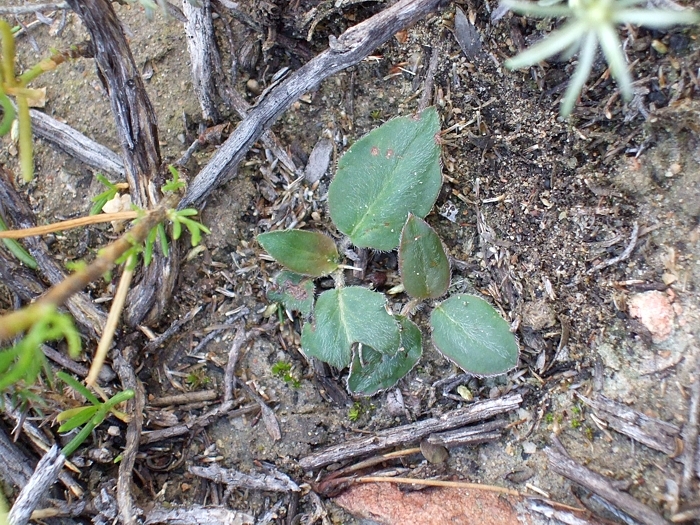 It is not very unusual to see a large variety of leaf shapes, from entire to bipinnatisect, in the same habitat. 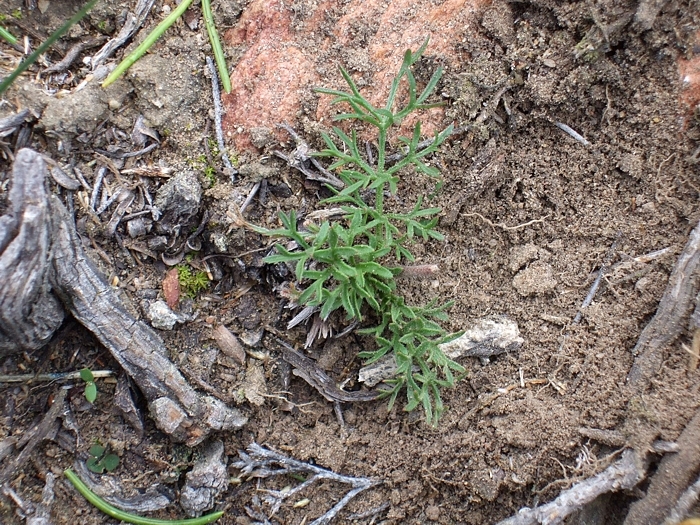 This property is shared with many other hoareas, such as P. dipetalum, P. longifolium, P. luteopetalum or P. proliferum.